Lewis Hamilton set the pace in the opening practice sessions ahead of the Monaco weekend, setting a morning time of 1:18. 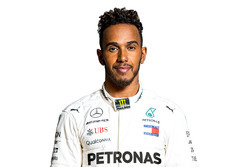 Lewis Hamilton set the pace in the opening practice sessions ahead of the Monaco weekend, setting a morning time of 1:18.750 and then improving on that with a lap of 1:17.192 in the early stages of an afternoon session that was significantly disrupted by a red flag and rain. In the morning session Hamilton was the busiest man on track, getting through 49 laps of the Monaco circuit, with his best time coming relatively early in the session, as the initially damp track began to improve. However, in that opening session it was Toro Rosso’s Max Verstappen who really caught the eye. 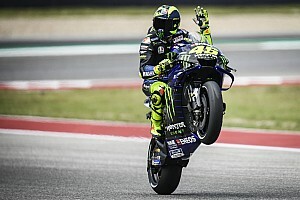 Despite having no experience of the Monaco circuit the Dutch teenager got to grips with its demands in double quick time and he quickly rose through the order as his confidence grew. A late flying lap of 1:18.899 eventually netted him P2 on the time sheet, just 0.149 adrift of Hamilton’s benchmark. 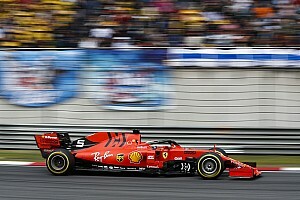 Behind him Sebastian Vettel was fourth for Ferrari, ending up 0.384s slower than Hamilton, while Carlos Sainz completed a good morning for Toro Rosso by setting the session’s fifth fastest time. Later in the day F1 team bosses were unanimous in their praise for Verstappen’s performance. The opening 90-minute session saw Daniel Ricciardo finish third. 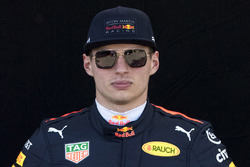 The Aussie has targeted Monaco as Red Bull’s best chance of a podium finish this season and he set about establishing his credentials early in the weekend as he set the fastest first sector during the session. In the end his best time was 0.336 down on Hamilton’s. As ever, the amount of grip on offer in the first session was minimal and a number of drivers found themselves requiring use of the escape roads, particularly at Sainte Devote, where Pastor Maldonado was twice forced to make a last-ditch change of direction for the safety of the run-off area. Williams’ Valtteri Bottas also had a couple of trips into the run-off area during the session. 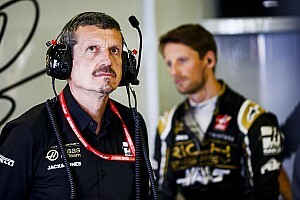 However, despite his off-track excursions Maldonado claimed the morning’s sixth-fastest time ahead of Daniil Kvyat in the second Red Bull, Kimi Raikkonen in the second Ferrari and Nico Rosberg in the second Mercedes. Rosberg had a brush with the barriers early in the session and though there appeared little damage to his car following a return to the pits he only managed the morning’s ninth-fastest time and finished a second adrift of his team-mate’s benchmark. After logging 49 laps in the morning Hamilton completed just 12 laps in the afternoon as the field spent the bulk of the session in pit lane as the session was disrupted by an early red flag and then steady rain that lasted for almost an hour. Sainz setting the early pace with a lap of 1:18.772. Prior to the Spaniard’s lap, Maldonado was forced to use the escape road at Mirabeau after making a mistake and soon after Sainz’s lap Vettel was forced to do the same. Sainz’s time at the top of the timesheet was short-lived, however. Ten minutes into the session Red Bull Racing’s Daniil Kvyat took over in P1, his lap of 1:18.548s being tenth faster than Sainz. Nico Rosberg soon established Mercedes’ superiority with a lap of 1:17.932, eclipsing Kvyat by six tenths of a second. Hamilton was just behind Rosberg on track, however, and he quickly moved ahead with a time of 1:17.640. He improved again the next time round to set the lap of 1:17.192 that would remain the afternoon’s best. Then, just before the quarter hour mark, Roberto Merhi lost control of his Manor on the exit of the tunnel. The Spaniard hit the barriers hard, losing the front wing of his car and came to rest in the run-off area of the Nouvelle Chicane. That brought out the red flags and by the time the session was restarted at 20 minutes past the hour rain was beginning to fall across the Principality. Maldonado went out to test the conditions, on supersoft tyres, but after a handful of corners he radioed back that the conditions were too tricky and he returned to the pits. And for the next hour that was it. With steady rain falling teams retreated to their garages for fear of shipping damage should something go wrong. With ten minutes left in the session and conditions improving, McLaren’s Fernando Alonso and Red Bull Racing’s Daniel Ricciardo went out for fact-finding missions on intermediate tyres, though they were lapping some 18 or more seconds off the dry pace. 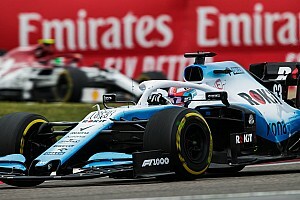 They pair were eventually joined by a number of drivers including Rosberg and Force India’s Sergio Perez who both tried the full wet tyre before the chequered flag fell.